Has your doctor used the “you have high cholesterol” line on you yet? Did hearing these grave words make your hands shake and your face go pale? Did you immediately call or text your spouse after you left the doctor’s office? Did you drive just a little too fast as you drove to the first pharmacy drive-thru to get your statin prescription filled? It’s time to end the madness about high cholesterol, because you see, cholesterol isn’t going to kill you and contrary to conventional belief, it’s not going to make you drop dead of a heart attack if you don’t religiously take statin drugs for the rest of your life. It’s time to start listening to those doctors who are telling us the truth: evaluating heart disease risk is far more complex than a snap evaluation of a single number like total cholesterol. Furthermore, it’s time to carefully weigh the ample scientific evidence that cholesterol is actually beneficial, not detrimental, to our health! Consider the research of Dr. Harlan Krumholz of the Department of Cardiovascular Medicine at Yale University, consistently ignored by the statin pushing crowd, who reported that old people with low cholesterol died twice as often from a heart attack as did old people with high cholesterol. Besides the fact that “total cholesterol” is a meaningless number in and of itself, taking statin drugs carries huge health risks such as muscle wasting, significant cognitive impairment and cancer. That’s right, the c-word. In every single study to date conducted on rodents, statins caused cancer. One human trial showed that breast cancer rates of women taking statins were 1500% higher than than of controls (source). In addition, a study showed that women who take statins for 10 or more years increase their risk of breast cancer by nearly 2.5 times (source). Let’s examine a few other cholesterol myths so the next time you’re sitting in a doctor’s office and the person in the white coat is pushing statins on you, you are armed with evidence supporting your position to just say no. Cholesterol Myth #1: People with high cholesterol are more likely to have a heart attack. It is indeed true that men who are young or middle aged have a slightly greater risk for heart attack if their total cholesterol level is over 300. However, for elderly women and men, high cholesterol is associated with a longer life. In addition, cholesterol levels just below 300 carry no greater risk than very low cholesterol levels. The suggestion by conventional medicine to take statins if cholesterol is over 180 or 200 is completely arbitrary and harmful over the long term. Cholesterol Myth #2: Cholesterol and saturated fat in foods like butter, egg yolks and liver clog arteries. the notion that saturated fat “clogs arteries” and causes heart attacks is totally false. It is actually polyunsaturated fat — the so-called “heart-healthy fat — which has those effects. Cholesterol Myth #3: Eating saturated fat and foods like butter cause cholesterol levels to rise and make people more susceptible to heart attacks. If this is true, why then have heart attack rates risen as people have avoided saturated fats like butter, meat fats and egg yolks? There is no evidence that saturated fat and cholesterol rich foods contribute to heart disease and doctors that continue to claim this are just plain wrong with at least two major studies confirming this (source). Cholesterol Myth #4: Cholesterol-lowering drugs save lives. Cholesterol Myth #5: Countries that have a high consumption of animal fats and cholesterol have higher rates of heart disease. So relax! The next time you’re sitting in the doctor’s office reviewing the results of your latest blood test and the words “high cholesterol” and “statin drugs” are spoken in the same breath, just smile politely and say “no thanks”. Feel confident in your decision to opt out of the statin madness. At some point in 2010 I saw a simple website, where the margins of the text were too narrow, causing the sentences to run too wide, that claimed that the peanut allergy epidemic we are now experiencing is due to peanut oil being used in vaccines. I am a peanut allergy mom. I am angry and disappointed on a near-daily basis about the hand we’ve been dealt with our son, and I want answers. I knew my child was vaccine injured; I saw the downward spiral happen before my very eyes when he was two months old. However, I didn’t believe the text in front of me. I didn’t think it was true that there was peanut oil in today’s vaccines. I searched for information about peanut oil and vaccines, but everything I read contained the exact words of the outdated site I’d already seen, as if everyone else got their information from the same place, and none of it cited a source. I let it die and moved on. The next year a new book was published by Heather Fraser of Ontario, Canada called The Peanut Allergy Epidemic. I read reviews here and there, and people mentioned the peanut oil in vaccines again. I dismissed the book, assuming the entire theory behind it was the peanut oil in our vaccines rumor. A lot of people might be surprised to know that there are food oils in injectable vaccines. In the 1930s there was cottonseed oil in vaccines, followed by a short-lived spate of cottonseed oil allergies of about a decade that quietly went away with a change in formula. In the 1960s and 1970s a flu vaccine used peanut oil as an adjuvant to make a smaller amount of influenza antigen elicit a bigger antibody response from the immune system. From 1950-1980 an injectable penicillin was suspended in peanut oil to allow for a slow release of penicillin while the body metabolized the oil. The occasional anaphylactic death from subsequently eating peanuts made headlines. Unfortunately, highly refined peanut oil does not have to be listed on the labels of foodstuffs or injectable medicines in the United States because it has been granted GRAS status — Generally Recognized as Safe — despite the fact that oil refiners know that it is not possible to remove all allergenic proteins from the oil. A sensitized child might be prescribed a medicine that contains peanut oil, and neither the parent nor doctor would know it, leading to a dangerous situation. However, all of that information is merely an interesting distraction in Heather Fraser’s book; a tangential history of the efficacy of America’s beloved peanut oil that is news to most of us. One hundred pages into the book, the mind-boggling bureaucratic roller coaster begins. Four events happened all at once leading up to 1990 so that in 1995 a wave of peanut-allergic kindergarteners was sent to school for the first time. 1. The vitamin K1 shot became part of the general consent for treatment in hospital births in the mid-1980s. The injection was linked to leukemia in 1998, and the formula was changed in 2006. In both the new and the old versions, the popular brands of vitamin K1 contained a hefty dose of aluminum adjuvant to make a “depot” under the skin to slowly release the K1 over at least the next 2 months. The original formula contained castor oil, which is known to cross-sensitize immune systems to peanut oil. The 2006 reformulation of K1 replaced the castor oil with lecithin derived from soybean and egg. Due to the cross-reactivity molecular weights of soybean and peanut, soybean is sensitizing some babies to peanut and tree nut. That depot of aluminum is still in the infant body, churning out an IgE antibody response, at the time the baby receives the two-month vaccines. It is estimated that 4% of injected aluminum remains in the body for an indefinite period of years. 2. The invention of the bacterial Hib vaccine and its subsequent licensing for use in two-month old babies arrived in 1990. 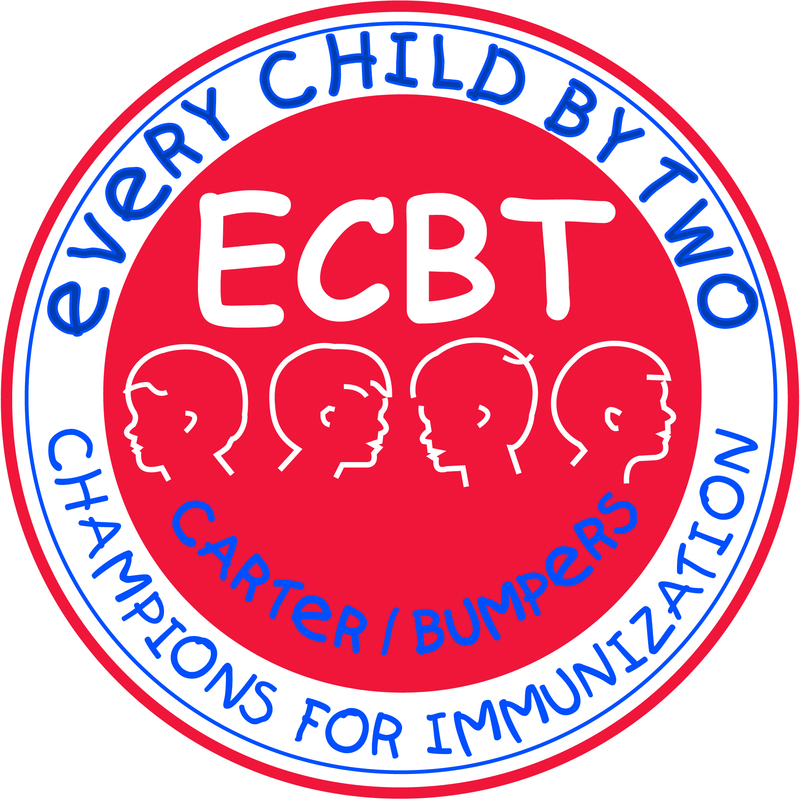 Children under the age of two years were not responding to the Hib vaccine’s carbohydrate antigen, which led manufacturers to create the CDC schedule’s first “conjugate vaccine” which covalently bonded the bacterium to a toxic carrier protein that the infants’ bodies would recognize: either tetanus or diphtheria toxin. This new carrier toxin acted as an adjuvant, stimulating an immune response. Two vaccines hit the market in 1988-89 for 15 – 18-month-old babies. By 1990 the age of use had been dropped to two-month-old babies, and an additional two more vaccines were on the market, being administered at the same time as the DTP and polio vaccines. It is now known that the structure and weight of the Hib bacteria proteins are very similar to the structure and weight of the peanut protein, which leads to cross reactivity to peanuts and tree nuts. We are, essentially, creating anaphylactic babies in the same manner researchers create anaphylactic mice: administering a peanut-like protein fused to adjuvant bacterial toxin. 3. By 1995 the countries of the western world were giving five vaccines in one needle for the first time. In the next three years there were 5,000 adverse reports filed in Canada, which is assumed to be only 10% of the actual adverse reactions. 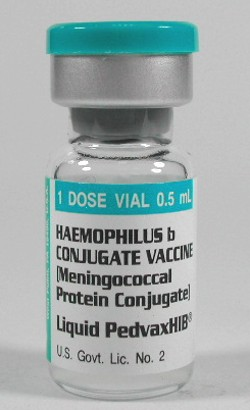 The effects of combining five viruses with multiple adjuvants and preservatives in one needle are essentially unstudied, though the Canadian Department of Pediatrics’ sheet on a five-in-one vaccine listed brain inflammation, convulsion, anorexia, infections, anaphylaxis, inconsolable screaming, and death as side effects. 4. In 1992 the already-crowded CDC vaccination schedule added additional doses of combination vaccines, resulting in load upon load of aluminum and antigens being delivered to the bodies of two-month old babies. Prior to this time the vaccination rates for children four years old and under in the western world were between 55% and 65%. The 1994 National Vaccine Plan aimed for 90% compliance for all infants and spent $500M to achieve it. 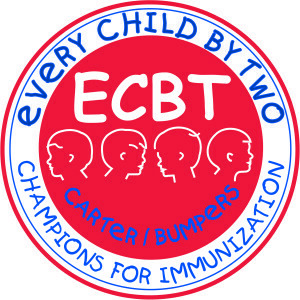 Vaccinations became a requirement for preschools and daycares for the first time. Canada, Australia, and the U.K. made the same changes at the same time as the United States. Vaccination rates were suddenly at a record high — all well over 90% — on a jam-packed schedule of aluminum-loaded combination vaccines. In the United States, emergency room records showed that from 1992-1994, 467 people per 100,000 were discharged from the ER after having experienced anaphylaxis. By 1995 that number had almost doubled to 876 per 100,000. 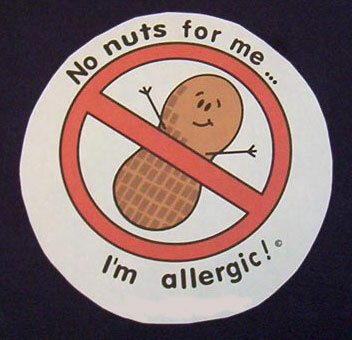 By 2008 there were 1,000,000 peanut allergic children under 18 in the US and 2,000,000 adults. We are overwhelming the immature newborn immune system with this toxic soup. It is not difficult to take Ms. Fraser’s collection of data and extrapolate the effect those reckless changes had on the similar epidemics of autism spectrum disorder, ADHD, asthma, epilepsy, childhood diabetes, and more. This country needs to take a step back and learn from the gigantic elephant in the room, even at the expense of loosening the reins of public health policy and admitting the cost that the vaccination schedule has had in collateral damage. The most infuriating part of Ms. Fraser’s book is the light she shines into the dark corners of the “search for the cause” of the peanut allergy epidemic. She exposes the game of The Emperor Has No Clothes that has been played between pharmaceutical companies and the governments of the western world for at least the last 85 years. It is only acceptable — and, in fact, of utmost importance — to research a source of any epidemic as long as it is not vaccines, because the fact that vaccines are proven to be safe is unquestionable. I know from my own research that the non-stop pressure to shout about vaccine safety from the rooftops is levied on the media by the pharmaceutical companies who pay advertising revenue for top-selling drugs, like those for erectile dysfunction or to chemically lower cholesterol. That pressure has birthed the media trend of promoting “blame the mother” research — blame her not only for what she ate while pregnant that caused an anaphylactic child, but for taking a dose of Tylenol while pregnant and causing ADHD in her child, or for catching the flu while pregnant and causing autism in her child. As Ms. Fraser points out time and time again, no publicly promoted theory can explain the tidal wave of peanut-allergic kindergarteners in 1995 except for the ingredients of vaccines and the schedule they are administered on. Throughout her book she presents a painstakingly researched timeline and builds a convincing case of circumstantial evidence — the kind of facts that juries use to convict criminals every day of the week. 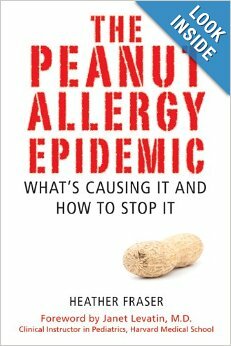 To order Heather Fraser’s book, The Peanut Allergy Epidemic: What’s Causing It and How to Stop It, click here. Have scientists been looking at heart disease from the wrong angle? The answer may be yes, according to the results of a new study. Since the 1980’s, the consumption of sugar has been rising steadily, and it has become a significant source of calories in the United States. Naturally, many experts agree that Americans are eating way more sugar than they should. Researchers wanted to evaluate if this increase in sugar intake was linked to cardiovascular death. And what they found was pretty alarming. Data were taken from nutritional surveys and analyzed after a 14-year period. Researchers looked at the amount of added sugar consumed in the American diet. They found that most Americans had been consuming about 10% or more of their calories from added sugar, and 10% of the population had been consuming as much as 25%. The results of this study weren't really that surprising to us. For years, we’ve been warning people about the dangers of excess sugar. Cholesterol gets all of the attention, but sugar plays a key role in heart disease. It damages blood vessels and contributes to plaque build-up. So if you want a healthy heart, you need to cut back on your sugar intake. 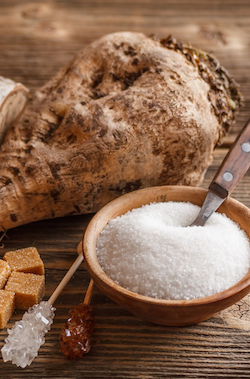 Sugar creeps up in the most unlikely of foods. And it can really add up. 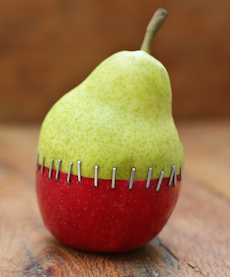 The natural sugars found in whole fruits are okay, but processed foods are notorious for containing added sugar. Always check your food labels. This includes yogurt, health bars, salad dressings, condiments, and even organic cereals. For optimal health, it’s best to avoid all added sugars. Check your fasting blood sugar level. Many people are under the impression they don’t have to worry about it unless they’re diabetic, but nothing could be further from the truth. If your blood sugar is not at an optimal range, take measures to support it. Exercising, eating a low glycemic diet, and taking certain nutrients can help to maintain a healthy level. JAMA Intern Med. 2014 Feb 3. Am J Med. 2008 Jun;121(6):519-24. J Clin Biochem Nutr. 2010 Sep;47(2):155-61. J Agric Food Chem.2007 Jul 11;55(14):5869-74. Nutr Metab (Lond). 2012; 9: 106. Nutr Res Pract. 2012 August; 6(4): 322–327. “You can naturally prevent allergies and asthma by drinking more water. When you understand the physiology of the human body and the role of histamine in its water regulation and drought management, you realize that chronic dehydration in a vast majority of people is the primary cause of allergies and asthma. Increased water intake—on a forced, regular basis—should be adopted as a preventive measure as well as the treatment of choice. Common food intolerances, such as those for wheat (gluten), milk (casein), chocolate, eggs, oranges and other salicylates may disrupt hormone levels, resulting in mental symptoms that can range from depression to schizophrenia and the classic ‘straitjacket’ problems. Many of these disorders occurring later in life, described as mental illnesses, may begin early in childhood and show up as eczema, infantile colic, rashes, fits and temper tantrums, excessive mucus formations, frequent rapid colds, hyperactivity, speech difficulties, anxiety, seasonal allergies and coeliac disease (malabsorption of food). All these initially should be regarded as dehydration issues. In the book "Health Wars", I examine the problems brought on by infants force-fed cow’s milk during their first two years’ of life. This is a vulnerable period for a small child, whose immune system usually has not fully developed until the third year. Assaulting the child with multiple vaccinations, foreign and often hostile proteins, such as those found in wheat and cow’s milk, can lead to all sorts of problems such as autism and type 1 diabetes, especially when the child has not been adequately breast-fed to ensure the full spectrum of immune factors are taken to begin with. Once the immune system is formed, there may be imperfections in how the system performs when assaulted with particles the body identifies as toxins. Damage and scarring to the intestinal wall by gluten/gliaden in wheat, barley, rye and oats, for instance, destroys the finger-like villi which absorb nutrients, leading to coeliac disease, where the food can pass unprocessed through the small intestine. Leaky gut syndrome, where undigested food particles permeate the damaged intestinal wall and enter the bloodstream, is typified by systemic poisoning and a chronic-fatigue reaction of lethargy, listlessness and depression. Experimental double-blind studies and control trials conclusively demonstrate that wheat, milk, cane sugar, eggs (often the whites), tobacco and food additives are the chief culprits. In one control study, 96 patients diagnosed as suffering from alcohol dependence, major depressive disorders and schizophrenia were compared with 62 control subjects selected from adult hospital staff members for possible food/chemical intolerances. Those suffering as ‘depressives’ were found to be the highest suffering from allergies: 80% were found to be allergic to barley and 100% were allergic to egg white. Over 50% of the alcoholics were found to be allergic to egg white, milk, rye and barley. Of the schizophrenic group, 80% were found to be allergic to both milk and eggs. Only 9% of the control group were found to suffer from any allergies. Dr Batmanghelidj states that the body’s predisposition to react in these ways may be due to the specific ways it behaves during drought-management. Schizophrenics, routinely treated with drugs, were randomly assigned milk- and gluten-free diets while on the locked ward. They were discharged nearly twice as rapidly as control patients assigned a high-cereal diet. Wheat gluten secretly added to the cereal-free diet undid this effect, showing that wheat gluten was a player in the behavior of these schizophrenic patients. Removing problem foods and then reintroducing them one by one under controlled conditions to see if the problems reoccur is known as elimination/challenge testing. This should always be done under clinical supervision, especially when side-effects may be quite severe, such as fits, asthma, anaphylactic shock, severe depression and violent, psychotic episodes. Most patients suffering from food allergies also have pyroluria, where excessive pyrrole chemicals are found in the urine, binding vitamin B6 and zinc (see Pyroluria). Since coeliac damage to the intestinal wall may result in malabsorption of nutrients into the body, while often allowing undigested food proteins into the blood creating allergy, healing of the intestinal system is vital to a restoration of the patient to full nutritional homeostasis. As a guide your intake should be half of your bodyweight in ounces. i.e. a 140 lb woman should drink 70 oz of water a day (8-10 glasses). Salt used should be organic, unrefined Himalayan, Celtic or sea salt; half a teaspoon per 10 glasses of water per day. Those having trouble sleeping may put a small pinch of salt on their tongue and allow to melt after turning in. This is also a good idea after drinking two glasses of water upon rising. Sensors on the tongue detect salt intake and help suspend the body’s production of histamine. In 2014, Israel will end the process of fluoridating water. Israel will join most of the other wealthy Western countries in not adding fluoride to the public water supply. In fact, over 97% of the population of Europe lives in a non-fluoridated area. Why is Israel stopping the process of fluoridation of the water supply? The answer is simple: The Israeli health ministry realizes that there is no data that adding fluoride to the water supply has any health benefit and they understand that water fluoridation is harmful. Over 60 years ago, in the U.S., water fluoridation was promoted in order to decrease the number of tooth cavities. However, even 60 years ago, there were no studies proving that fluoridation of water would result in a decrease in cavities. Now, 60 years later, there still are no studies showing that there is any significant tooth benefit from water fluoridation. Data from the World Health Organization show that there is no difference in cavity rate between countries that do and do not fluoridate their water. However, there are numerous studies showing the dangers of water fluoridation including an increased risk of osteosarcoma, arthritis, bone fractures, lowered IQ, cardiovascular disease, as well as tooth and skeletal fluorosis. Fluoride poisons hundreds of enzymes in the body. Studying the history of water fluoridation should lead any rational, thinking person to conclude that fluoridation of the water supply doesn’t make either scientific sense or common sense. What can you do? If your city supplies fluoridated water, it is best to filter it out. I suggest contacting Tom Lee who put a water filtration system that removes fluoride in my house and one in my office. Tom has been in the water business for over 40 years. You can contact Tom at: 248.318.1554. More information about fluoride can be found in my book, Iodine: Why You Need It, Why You Can’t Live Without It, 5th Edition. Note: I have no financial dealings with Tom Lee. If PLU code on fruits, vegetables starts with an "8," avoid such produce. When shopping for fruits and vegetables, your first choice will want to be those labeled with a five-digit PLU that begins with a "9," which indicates that it is certified organic. Produce items containing a four-digit PLU are considered "conventional," which means they are not technically GMO, but may still contain pesticides and other toxic residues. The Environmental Working Group (EWG) has created a helpful shopping guide for picking out safe produce. High sugar consumption may double the chance of dying from heart disease, according to a study that adds to evidence that high levels of the sweetener in processed foods and drink is bad for a person’s health. People whose sugar intake is about a quarter or more of their total daily calories had twice the risk of dying from heart disease than those who whose intake was 7 percent, according to the research today in JAMA Internal Medicine. For those whose intake of added sugar was about 19 percent, their risk of dying from heart disease was about 38 percent higher. Today’s study is the first to link on a national level the amount of sugar American adults eat to their risk of dying from heart disease after taking into account weight, age, health, exercise and diet, said lead study author Quanhe Yang, an epidemiologist at the U.S. Centers for Disease Control and Prevention. Research has already linked sugar consumption to diabetes, weight gain and obesity. Heart disease, which can cause heart attack, chest pain and heart failure, is the leading cause of death worldwide for both men and women and kills more than 600,000 Americans each year, according to the Atlanta-based CDC. There is no specific national guideline for sugar consumption. The Institute of Medicine recommends sugar be less than 25 percent of total calories, the World Health Organization recommends less than 10 percent, while the American Heart Association suggests limiting sugar to less than 150 calories a day for men and less than 100 calories a day for women, the authors wrote. ‘The majority of us are consuming more added sugar than the recommendations,’’ Yang said in a telephone interview. 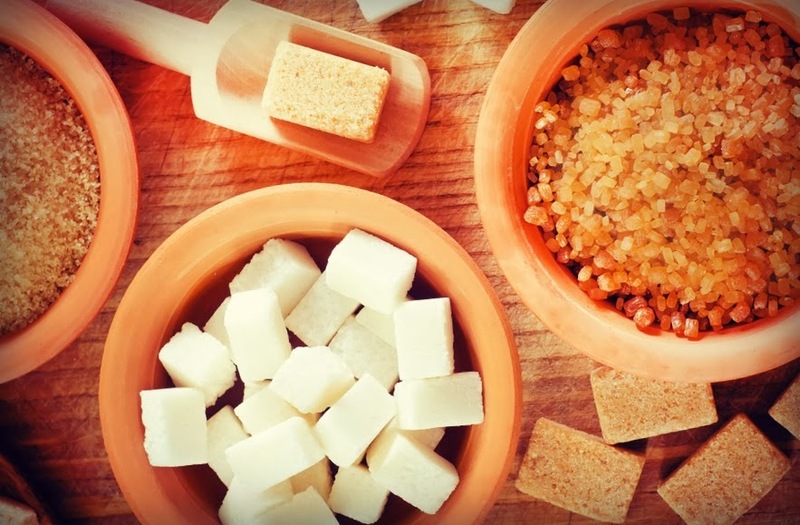 About 37 percent of added sugar in U.S. diets comes from sugar-sweetened beverages, while the rest comes from grain-based desserts, fruit drinks, dairy desserts and candy, the authors said. Sugar from fresh fruits and vegetables isn’t considered added sugar. Better food labels would help people identify their sugar intake, said Schmidt, who wrote an editorial accompanying the study. Scientists don’t have a clear understanding why sugar may raise the risk of dying from heart disease, Yang said. Sugar may increase blood pressure and weight gain, both risk factors for heart disease, or it may raise bad cholesterol and triglycerides and lower good cholesterol. Sugar may also increase insulin resistance, a factor in diabetes, or increase fat accumulation in the liver, he said. Researchers in the study looked at data from several National Health and Nutrition Examination Surveys, which provides nationally representative information on U.S. adults. They found that U.S. adults consumed about 14.9 percent of daily calories from added sugar in 2005-2010, down from 16.8 percent in 1999-2004. For most U.S. adults, added sugar made up 10 percent or more of their daily calories during 2005-2010 and for 10 percent of people, sugar made up 25 percent or more of their daily calories. Today’s findings support recommendations to limit intake of sugar-added foods and drinks, Yang said. “We are in the midst of a paradigm shift in research on the health effects of sugar, one fueled by extremely high rates of added sugar overconsumption in the American public,” Schmidt said in an editorial accompanying the study. When it comes to sun exposure and protection, there are a lot of questions to answer. How much sun-basking is too much? Are there benefits to not wearing sunscreen sometimes? What kind of protection does sunscreen provide? How do I choose the safest and most effective brand? And what ingredients should I avoid? Today I answer these questions and more. Vitamin D is an essential hormone for healthy bones, immune function and blood cell formation. Luckily, your body produces vitamin D every time you step into the sunlight. Easy, right? Just keep in mind that you don’t need much unprotected sun exposure to meet your needs. According to the World Health Organization (WHO), 5-15 minutes of unprotected sun exposure a few times a week is all that’s required to maintain healthy vitamin D levels. Ultraviolet A (UVA) and ultraviolet B (UVB) are the two types of sun rays that travel through the earth’s atmosphere and shine directly on your pretty skin. We just learned that a little unprotected fun in the sun is good for you, but what about longer stretches of time? UVA and UVB rays are responsible for the golden tan so many people try to attain each year. You might think that this sun-kissed tone is healthy. Think again. When your skin darkens, it’s actually a warning sign that your body is trying to prevent further DNA damage. This is just one example of the ways UVA and UVB impact your health. Let’s explore the difference between the two, so that we know why it’s important to protect our skin from both. If you’re relying on that bottle of sunscreen to protect you from all the risks of sun exposure, you’re not seeing the big picture. Sun protection is two-fold. Safe sunscreen plus safe sun habits. Sunscreen isn’t a magic bullet and when you throw human error into the mix, its effectiveness gets even more dicey. It’s still very important, but slathering some on once a day doesn’t give you a free pass. Your sunscreen may be protecting you from sunburn by blocking UVB rays (if you’re re-applying it often enough and using a sufficient amount), but you’re still vulnerable to skin damage if you’re not protected from UVA rays as well. Although the US has added UVA protection to many sunscreens, we’re still behind countries in Europe in terms of the level of protection. Don’t get me wrong — some UVA protection is better than none, but European sunscreens provide much stronger coverage. So unless you know a Parisian sunscreen smuggler, it’s a good idea to adjust your sun-loving habits (including what lotions to buy). When choosing any personal care product, be your own health advocate. There are chemicals in the products on your drugstore’s shelves that have been linked with cancer, birth defects and a variety of other health issues. Sunscreen is not exempt. The EWG Guide to Sunscreens 2013 is chock full of research and product information. Check it out to get the scoop on more than 1,800 products including sunscreens, lip balms with SPF, moisturizers and makeup. Check labels for toxic chemicals and use EWG’s guide to choose the best sunscreen for you. Look for broad spectrum (UVA/UVB) coverage and a SPF of at least 15 and no more than 50. Now, go have a blast this summer — just be smart about it!